Is Kodi Legal or Illegal? What About Safe? Kodi is a media center application that is as powerful as it is popular. It's versatile, customizable, and agile enough to be used on almost any device you can think of. We've written about it here before, and we've showed you how to install it on everything from the Fire TV to the Raspberry Pi. But for all of its virtues, Kodi has long been plagued by pretty damning questions: is Kodi legal or illegal? Is Kodi safe to download and use? Will Kodi give your computer viruses or attract angry FBI agents to your door? These are questions that the team behind Kodi really hates, and that's understandable. The reality is that if you download Kodi from the source, the program is perfectly legal and entirely safe to download, install, and use on any device. But while the questions surrounding Kodi's legality and safety may not be quite fair, they're at least understandable. The reasons for the confusion are rooted in Kodi's DIY past, its long-standing fan base, and its present battles with sketchy bootlegger types. Below, you'll find everything you need to know – including more complete answers to the questions in our title – “Is Kodi legal?” and “Is Kodi safe?” – and some background on the service itself that sheds some light on why these questions are so widely asked in the first place. Is Kodi Legal or Illegal? Kodi is legal! You can head over to Kodi's big ol' legal website and download Kodi legally and install it legally and use it legally. If the answer is so simple, why do so many people wonder if Kodi is illegal? The answer is that Kodi can be used to do illegal stuff — though this is not something you're likely to do by mistake. 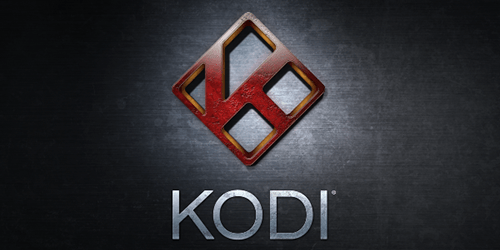 To figure out what's going on here, let's look briefly at Kodi's history. We covered this a bit in our What is Kodi? article, too, but we'll run through the important stuff again here. Kodi's story begins on the original Xbox gaming console. Gaming consoles have always been computers in boxes, but Microsoft's Xbox felt like the kind of computer that programmers already knew well. Anyone who cracked open an Xbox would find familiar-looking hardware: it used the standard desktop versions of things like the disk drive and hard drive. That's why the first Xbox was so heavy, as well as why it could do things like rip CDs to its hard drive. This made it perfect for tinkering DIYers, and it wasn't long before teams of dedicated hobbyists and semi-pros were coming up with cool programs for this new type of computer. From the ashes of one called XBox Media Player rose a project called Xbox Media Center, or XBMC. This was Kodi, though it didn't yet go by that name. The new project got its first stable release in 2004. Users could download this new media center, install it on the Xbox, and use it to play music and movies from files and disks. The people behind XBMC made it free to download. They also made it open source, which means anyone was free to look at the code and build stuff that worked with it. Soon enough, there were tons of add-ons for XBMC: downloadable extras that gave XBMC the power to do new things. XBMC itself didn't exactly do anything illegal, even way back in 2004. But its user base may not have been the most law-abiding bunch. Putting aside how each user may have acquired his or her mp3 and mp4 files – this was the heyday of piracy, after all – XBMC's open-source nature made it easy for less scrupulous developers to write add-ons that enabled illegal streaming of movies and live TV, and that's exactly what those developers did. At the time, XBMC's team didn't do much to stop them. 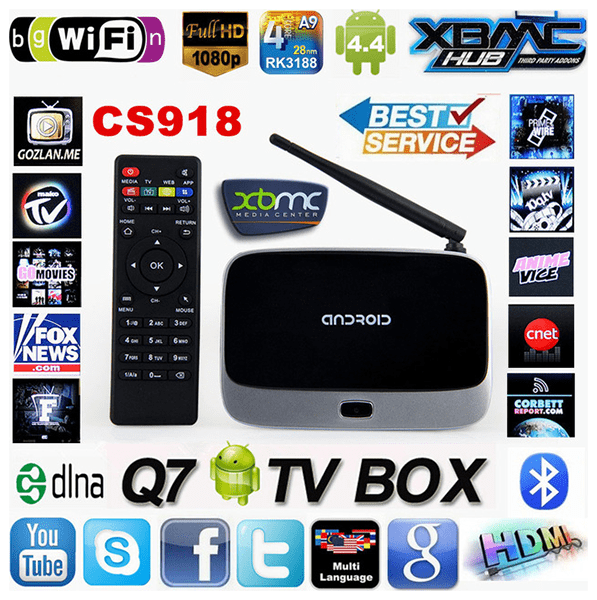 Was XBMC (Kodi) legal back then? Yes, more or less: you could install it and avoid the bad add-ons and use it to organize content you already owned or to stream things from free services like the then-new YouTube. But while the service not yet named Kodi was legal for users, not everyone was using it as they should have, and its developers were not necessarily on the best legal footing. XBMC appeared to be at least tacitly endorsing its sketchy side. Over the years, XBMC came out for more and more platforms and ditched the “Xbox” part of its branding, first by shifting fully to the acronym version of its name and then by adopting the entirely new brand “Kodi.” It was just one sign of an ongoing evolution that has made a good digital citizen out of Kodi. Kodi remains open source, but it has long since turned on shady add-on developers and has spent a couple of years taking significant steps to marginalize illegal add-ons. Finding and installing illegal add-ons is a more difficult process than it once was, and Kodi strives to promote add-ons that are actually trustworthy. These days, you'd have to go out of your way to break the law using Kodi. Kodi is safe to download. Kodi is safe to use. It's safe in the legal sense, and it's safe for your computer or other device. There's absolutely nothing to worry about. In fact, Kodi has pretty much always been safe. While it once tacitly condoned illegal streaming through add-ons, we don't typically see significant legal action against end-users of these sorts of things in America (this is less true in the U.K.). And while those old add-ons from Kodi's Wild West area were not the most moral or legal things in the world, they didn't typically harbor viruses. There is one way, though, to make Kodi unsafe: you can buy a pre-loaded Kodi box from some sketchy producer or re-seller. Kodi is easy to install on a ton of different platforms. It's free. And it's open source, which means anyone can develop add-ons. That makes it very appealing to legal users. It also makes it appealing to illegal users, but that can't hurt the law-abiding ones among us. But it also makes it appealing to law-breaking businesses, which can be a problem for those who don't know about the issue. Here's how it works. It's pretty easy for a shady company to get some cheap hardware that can run a versatile operating system or streaming platform – Android or Android TV, for instance. They can pre-install these boxes with Kodi and sell them to customers as streaming boxes. Putting Kodi on a box and selling it is not necessarily in and of itself illegal, but these companies frequently cross a clearer legal line by packaging Kodi with illegal add-ons and violating Kodi's trademark protections. Those illegal add-ons make Kodi capable of streaming live TV, free movies, and more. The shady manufacturers market their devices based on this, and customers (some unsuspecting and some unscrupulous) buy it and break the law. These are illegal devices, and it's never safe to break the law. They're also not coming from the best people, so there's no way to know for sure if they're safe in other ways – your privacy could be at risk. Here's a good rule of thumb: if you're installing Kodi yourself, you're safe. It also doesn't mean that Kodi won't ever come pre-installed on some legitimate device (indeed, Kodi's team is almost certainly hoping to someday see their app pre-installed on big-name devices like the Roku or Fire TV). But it does mean that you should be very wary right now about any generic-seeming device boasting of live TV and featuring Kodi pre-installed. Remember, the best Kodi box is the one you set up yourself! Kodi's crew acts shocked and horrified every time there's confusion about its legality. It's easy to sympathize, but there are clear reasons for the confusion, and Kodi's bad old days are still haunting it in the 2010s. With that said, though, here's the modern reality: Kodi is legal. Kodi is safe. And Kodi is one of the best media center apps on the market. We use it, love it, and cover it here, and you should absolutely try it out. Use it (legally), support its developers, install it on Fire TV or Raspberry Pi, customize it with one of our favorite Kodi skins, add it to your RetroPie (another great indie project that has been targeted by shady bootleggers), organize your movies with it, and stream content on it using one of the many legal streaming add-ons on Kodi's approved list. If you download Kodi yourself and don't seek out bad advice in less trusted corners of the internet, you will never have to worry about breaking the law or putting your device or yourself in harm's way. Please do an article on the DVR capabilities of the skinny bundles like DirecTV Now, Sling TV, etc. My first choice at this point will be DirecTV Now. I want to cut the cord, but my wife will not give up her five channel DVR on DirecTV. I have a Tablo for broadcast channels and we are getting use to its DVR. By the way, does anyone else report a reduced picture quality on Tablo recordings?